Compare Car Rental at Athens Airport | Cheaper MPV, SUV & 7 seat Minivan hire for Athens, in Greece. Cheap car hire at Athens Airport, Greece using Olympic, Thrifty, Green Motion, Hertz, Avis, Europcar, Enterprise, Kosmos and Budget. Vehicles can also be collected downtown. The cheaper rentals tend to be a Meet & Greet service, involving a shuttle bus to get your car. If prefer to get at the airport, then Thrifty keep theirs' on site. If prefer to check-in to your hotel first, then you can book to collect at these depots:- Striminos, Peania, Pireaus and Kifisia, amongst others. Just type Athens into the search field. All vehicles come with mileage included and have the usual range of must have, like excess waiver, breakdown and insurance. Amendments are free. Many tourists come to visit Athens, mainly attracted by the cultural heritage of the place. 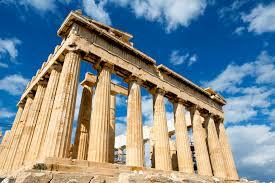 There are a number of tourist attractions in Athens. You can easily know about the history and culture of the place through the monuments and buildings and churches of that place. Other things to see are the National Library and the Athens Academy. The buildings are beautifully constructed and the National Library is full of ancient books, literary classics and journals. The most alluring things in Athens for which tourists come for are the Byzantine and Roman ruins, buildings and monuments. The Acropolisof Athens is an ancient and very well known monument. It was a symbol of power and wealth. The Acropolis Museum is full of the ancient treasures of Athens. Panathinaiko Stadio was where the first ever modern Olympics were held in 1896. 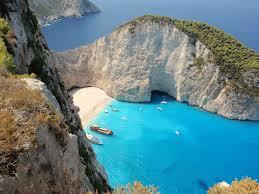 The beaches of Athens are also great. Tourists as well as the inhabitants of Athens have a great time there. The most beautiful beaches are the Kavouri, Vouliagmeni and Varkiza. We offer reduced touring rates in Athens. Driving from Athens Airport made quicker. 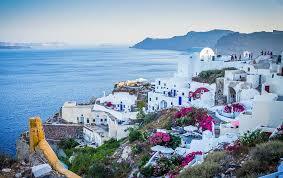 We can help find value vehicles in Athens and the Greek Islands. Athens is not only famous for its historical and cultural monuments and buildings but for also for its nightlife. It has lots of restaurants, pubs and bars where you can enjoy eating anything from old Greek recipes to modern day cuisine. ATMs, a bank and a bureau de change are present inside the terminal building. Good selection of duty-free shops selling perfumes, electrical goods and tobacco. In addition there are kiosks selling books, newspapers, magazines, refreshments and other travel related items.